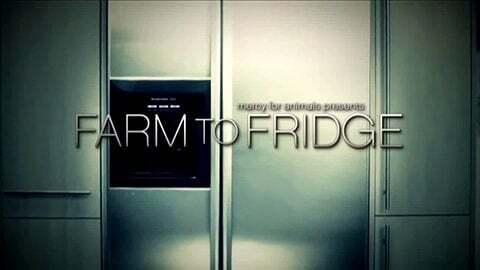 This is the 4-minute version of Mercy For Animals' landmark short documentary, Farm to Fridge. This video reveals the horrifying reality behind the production of meat, dairy, and eggs. After seeing how animals are treated inside factory farms and slaughterhouses, you will understand why so many people these days are ditching animal products and adopting a vegan lifestyle. Narrated by Oscar-nominee James Cromwell. Mercy For Animals (MFA) is an American non-profit organization that is focused on promoting veganism and helping farmed animals. Among numerous other projects, MFA is also responsible for many undercover investigations in addition to creating ChooseVeg.com, a website that offers help in transitioning to veganism. EARTHLINGS is the single most powerful & informative documentary about society's tragic use of non-human animals. Narrated by Joaquin Phoenix. 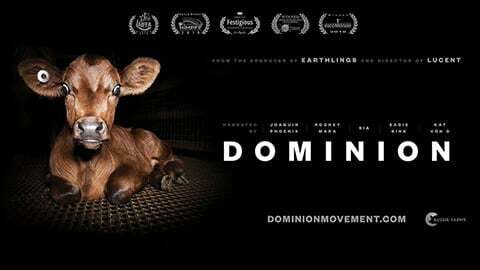 Dominion is a 2018 film about the human dominion over the animal kingdom. Narrated by Joaquin Phoenix, Sia, Rooney Mara, Kat Von D and Sadie Sink. Mercy For Animals' landmark 11-minute documentary reveals the unbearable reality behind meat, eggs, and dairy. Eating Veg is a phenomenal and highly engaging short documentary that goes over all the reasons to become vegan. This documentary is UK's version of Earthlings, as it exposes the hidden truths behind animal farming in the UK. Narrated by Earthling Ed. This important documentary from Unilad makes a strong case for veganism by presenting the destructive consequences of animal agriculture.